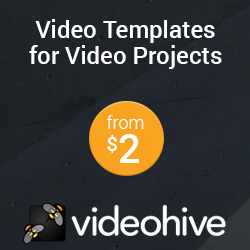 Royalty Free stock is not FREE stuff at all. If you want to use a certain song or some sound effects in your project you must obtain some kind of a license from the author. 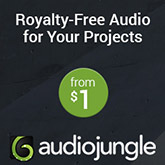 When you buy a Royalty Free or RF license you have the right to use copyrighted material without the need to pay royalties later or other fees for each use of either a song or a sound effect. TV and radio stations must fill every day a cue sheet that includes all the songs they have played if those songs are represented by a PRO (Performance Rights Organization). So they have to pay royalties that each PRO then distribute to authors. This means that each time a radio station plays a song from the Rolling Stones band it has to pay a royalty fee. On the other hand, a radio station doesn't have to pay a fee for each time it plays its radio station identifier if the producer has bought a royalty free license for that song. Many license types may be available at different costs depending on certain features: territory of application (i.e. worldwide), exclusive or non-exclusive, time period of use, for an end product or resale, per volume sold, etc. YouTube videos, websites, corporate videos, product presentations, software and mobile apps, social networks, advertisements, films soundtrack, video games, TV shows and commercials, documentaries, radio wet sweepers or station identifiers, audio logos, instructional videos, PowerPoint, multimedia projects, flash and animations, wedding videos, e-cards, podcasts, slideshows, audio books, on hold music on phone calls, background music in waiting rooms, elevators and restaurants, school projects, personal videos, etc. From time to time some authors may give away a song or some sound effects totally free of charge in order to promote their paid portfolios, also known as freebies. If you are either an independent musician or a sound designer you can earn some extra pasive income by licensing your songs and sound effects. First you must decide either if you will be an exclusive author at a specific stock website or will set a non-exclusive account so you will be allowed to distribute your content via many other royalty free stock markets as you want. iStockAudio was acquired by Getty Images Music Portal. Some websites give you the opportunity to earn extra money with a referral or affiliate program. Sometimes you just have to add something like "?ref=yourusername" at the end of any url or link to that websites. Note: if the url already has a ? symbol then you have to add "&ref=yourusername" instead. Once you have made some money you'll want to take it to your wallet. Some stock sites use to send your earnings automatically to your PayPal account. In many countries is very difficult to cash a PayPal check. Fortunately there is another option: Payoneer, a global payment service which provides you with a Payoneer Mastercard debit card that you can either use at your local shops or widthdraw cash from any ATM. You can also ask them for a US checking account so you can transfer your PayPal balance to your Payoneer account. Some websites include Payoneer as a payment method for authors to widthdraw their earnings. In this case they will give you a way to link your stock site account to your Payoneer card.